1.2.4.0.1 Application for ICT occupations have a new application process. Victoria’s skilled migration program seeks to attract highly skilled and employable professionals and tradespeople with occupations that are difficult to source from the local labour market. Extensive research and industry consultation on Victoria’s current and forthcoming labour market needs is undertaken to identify occupations suitable for state nomination. This ensures that Victoria’s industries have the skills required to remain highly productive, and that skilled migrants who come to Victoria are well placed for employment in their nominated occupation. If you are an international student or recent graduate, also refer to the State Nomination Occupation List for Graduates in Victoria. If you are applying for Victorian nomination under a regional nominated visa you must have a valid job offer in your nominated occupation in regional Victoria. The Victorian Government offers fast-tracked state nomination for international PhD graduates and current or recent 457 visa holders. Applicants must meet all eligibility requirements to apply. the demand for your occupation in relation to the annual nomination places allocated for that industry. There is strong competition for Victorian nomination. Meeting the minimum eligibility requirements will not guarantee you an offer of nomination. For detailed application guidelines and eligibility criteria, see Skilled Visas. Application for ICT occupations have a new application process. 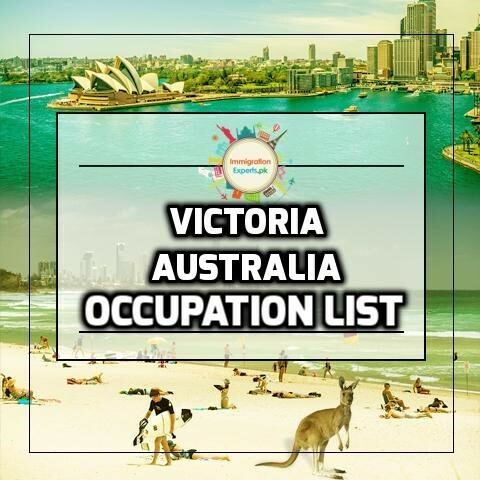 For more information, see How to apply for Victorian visa nomination: ICT occupations on the Skilled Nominated visa (subclass 190) page. 224213 Health Information Manager 7.0 in each band Two years Must have a qualification accredited by the Health Information Management Association of Australia.Higher education transcripts and certificates required. 254413 Registered Nurse (Child and Family Health) 7.0 in each band Two years Must have registration (or approval in principle) from the Nursing and Midwifery Board of Australia.Must be registered as both a nurse and a midwife.